For the last 7 years, I’ve wanted to visit New Orleans. And this past fall, I finally got to go. 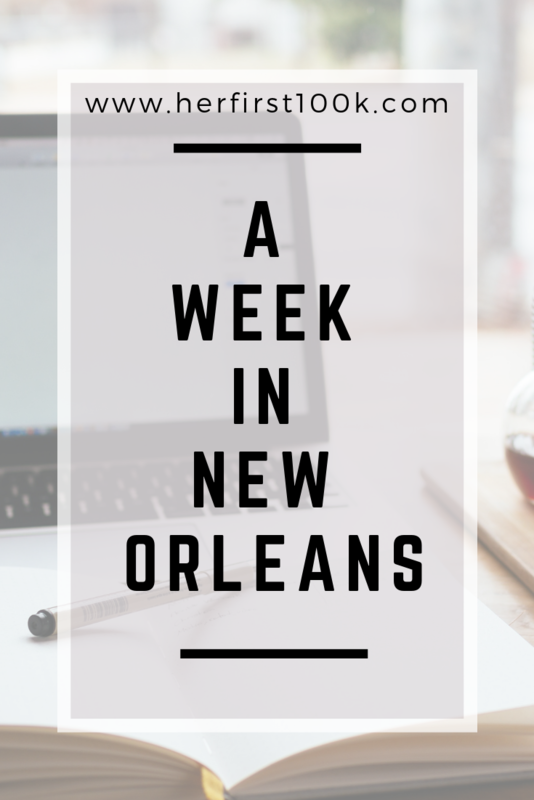 After finding my flight for an incredible steal (The Flight Deal is the best), I was excited to spend 5 days eating gumbo, listening to jazz, and understanding its incredible history. New Orleans’ official drink just happens to be my go-to: the Sazerac. I committed to a self-guided Sazerac tour of New Orleans (um yeah I was hungover a lot, don’t ask) so you’ll see my Sazerac rating at the end of a few description if you’re into that. You sensing a theme here? I JUST WANTED TO LISTEN TO ALL THE JAZZ ERMKAY. This was my favorite museum we visited. Live jazz performances and interesting exhibits, and located in a cute neighborhood in New Orleans. One of the most impressive and in-depth museums I’ve ever been to, this is a must-do in New Orleans, especially on a rainy day. Make sure you go to the movie narrated by Tom Hanks (who donated the majority of the money for the museum!) — it’s an added cost on top of the ticket, but worth it. There are few things in life that make me happier than listening to live jazz. Almost every night of the trip, you could find me in a club for 3+ hours soaking it all in. The Palm Court and BB King’s Blues Club, as well as the Davenport listed above, are all great places to go for a drink and some music. Thanks to Visit New Orleans for hosting and for Aaron and his Airbnb team for a discounted rate! As always, all opinions are my own.